The Dress is a easy crochet pattern for a toddler's dress. 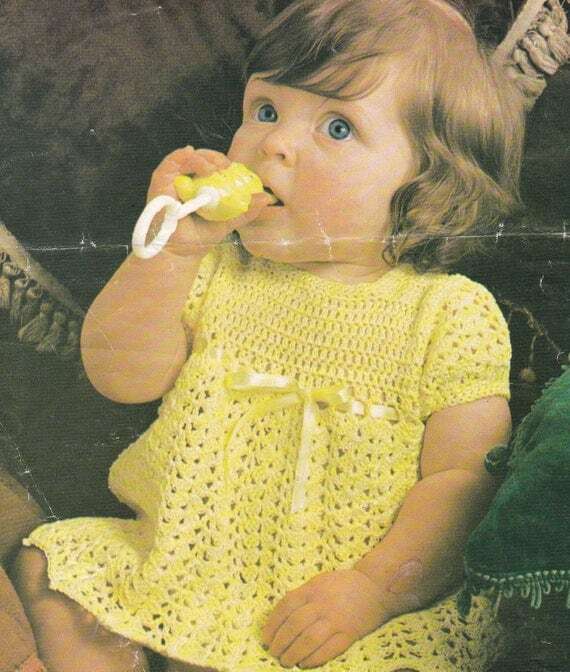 It can be worn as a cute dress or jumper and features crochet stitches that look like ruffles. This is a great dress to put over a t-shirt or a turtleneck. Be sure to read the reader's reviews on the site some make suggestions on how to make this into an adult tunic and add a sun hat or purse to it. Plus if you have any problems with the pattern the readers provide extra information. 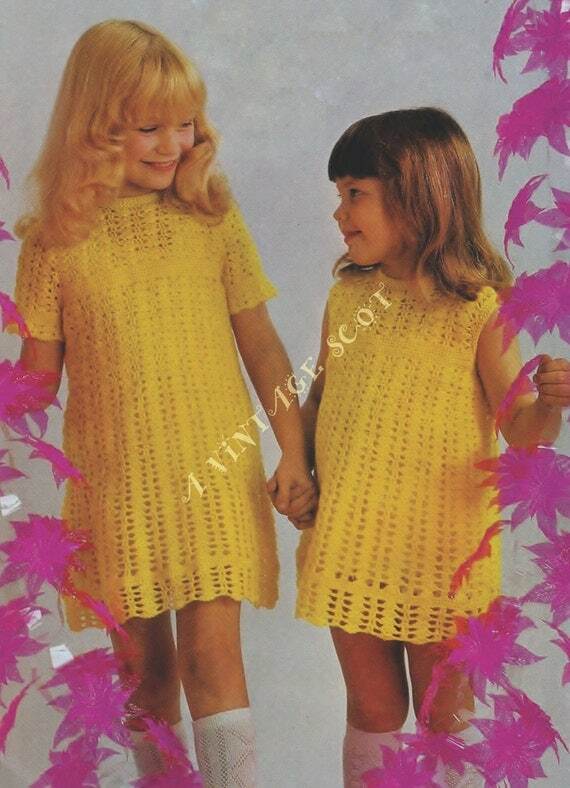 Instant PDF Digital Download Vintage Crochet Pattern to make a Beautiful Short Sleeve Lace Baby Dress & Mary Jane Shoes in 3 ply Chest 18"